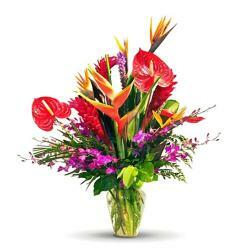 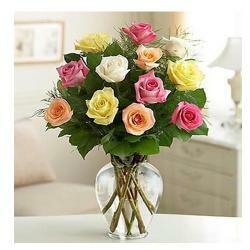 You do not have to spend any word when you are sending this bouquet to your partner. 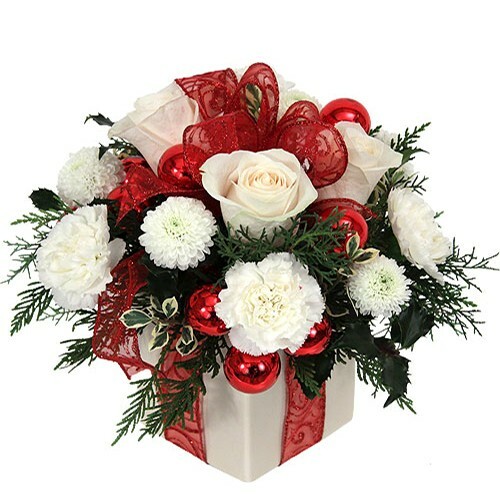 Made with about 6 white roses, 6 Chrysanthemums or carnations this arrangement is just more than perfect to be gifted on the valentines day or any other special occasion. 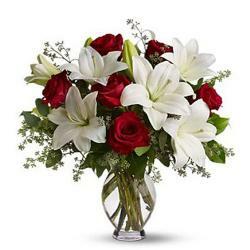 Flowers do not need any occasions to be gifted to the person your love. 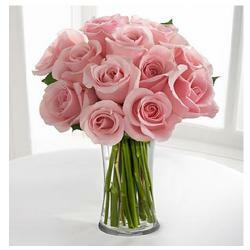 Let your sweetheart get surprised with this heart shaped bouquet where each rose is a symbol of romance and love.